There are no obvious shocks as the Serie A approaches the halfway mark, with Juventus heading towards their sixth title in as many years. Roma are doing their best to keep up, while Napoli and Lazio complete the top four. The promising news for football globally however is that AC Milan are finally looking like a force to be reckoned with. They sit in fifth place, but can jump to third if they win their game in hand. Champions League football is almost back where it belongs. More worrying though is their San Siro rivals Inter, who are still struggling to compete with the best as they sit seventh in the table. 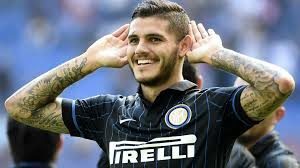 More positively however is that Mauro Icardi leads the scoring chart on 14, while Felipe Anderson of Lazio tops the assists on seven.